This deserves to come first. A wonderfully simple and effective idea: Bamboo shinguards for soccer players. Time is running out for your opportunity to invest in the project on Kickstarter (18 August). Bamboo fish being chased by a life-sized orca: Looks like we missed a great community event on Guernsey this month. I always think of the delightful book, The Guernsey Literary and Potato Peel Pie Society , when someone mentions Guernsey. Bamboo in modern Japanese architecture. Click on the image for more. Inspired by tepees? This triangular modular hotel made with bamboo is getting lots of attention. 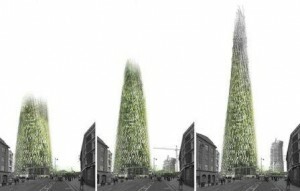 The design is a flexible system allowing the bamboo structure to be expanded horizontally and vertically, they say. It’s hard to imagine you wouldn’t feel every movement within the building. 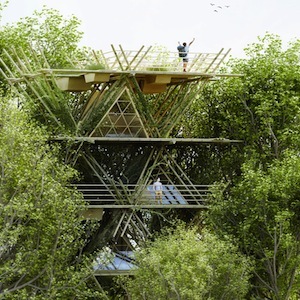 Another take on expand-as-needed architecture is inspired by bamboo scaffolding. 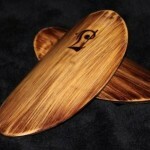 One for the painters: here is a review of a bamboo brush box. It gets a 4.8 (out of 5) star rating on Amazon . 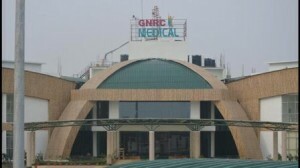 A new hospital in India is clad with bamboo. The bamboo “acts as a natural insulator and allows the hospital to do away with air conditioning in common areas such as lobbies and reception. This resulted in saving electricity and reducing maintenance cost.” It looks good too. 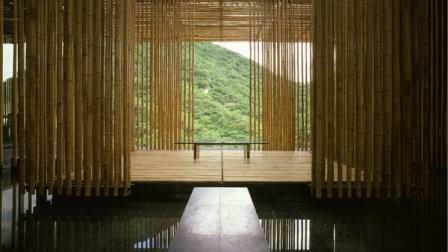 Here is a short video clip about the construction of a traditional Hong Kong bamboo installation. The ‘flower plaque’ is part of the Smithsonian Institutes 2014 Folklife Festival. Learn more about flower plaques here and here. 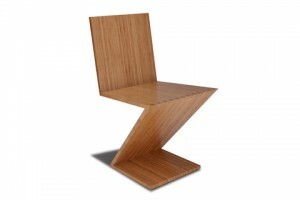 Precision computerised joinery and high-tech adhesives are all that hold these bamboo chairs together. There’s also some nesting tables of a similar construction. In case you missed the YouTube vids of the awesome rocket festival in Northern Thailand here is a link. Not for the faint hearted. Colossal has published photos of Wang Wen-Chih’s finished bamboo entry tunnel (mentioned here back in October) at the Woodford Folk Festival site. 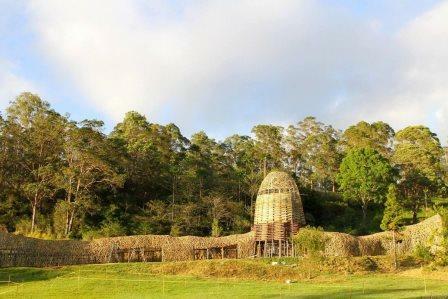 This entry was posted in All, Bamboo around the world, Bamboo product reviews, Building and Home Renovation and tagged architecture, art installation, bamboo, India, low-cost housing on 01/08/2014 by Deb.